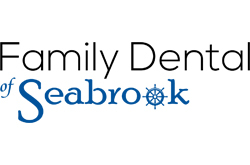 Family Dental of Seabrook is a hometown dental practice located in Seabrook, NH, specializing in comprehensive dentistry for the entire family. Our practice places a premium on excellent service, quality care and patient convenience. With an emphasis on lifetime preventative care in Seabrook, NH, we offer a full range of dental services to meet the individual needs and preferences of each patient. From routine cleanings, to complete smile makeovers, we utilize the latest dental techniques to give our patients the most up-to-date service. At Family Dental of Seabrook we designed our office with our patients in mind. By combining a calm atmosphere with modern technology, we have created a place where our patients in Seabrook receive the quality of dental care they need and deserve. The moment you walk in our front door, our team will make you feel comfortable, secure and cared for. Our state-of-the art facility has the latest equipment, so we can offer you the most advanced treatment options. Our team of dental professionals has undergone a series of continuing education courses to keep us up-to-date on the latest dental techniques and industry standards. At Family Dental of Seabrook we give each patient personal, one-on-one attention to explain procedures, listen to concerns and answer questions. Family Dental of Seabrook strives to provide lifetime care to the Seabrook area, because oral health is integral to overall health. Our philosophy is to provide care that will be in your best interest now, and in the years to come, so you have a smile that will last a lifetime! We welcome you to make Family Dental of Seabrook in Seabrook, NH your dental home. Make an appointment for your smile consultation by calling 603-814-1640, or online.